Our air cargo marketing client Cargo Logic Air have just announced that they are soon to become our neighbour as they are moving from Stansted to Heathrow. Welcome to the neighbourhood! 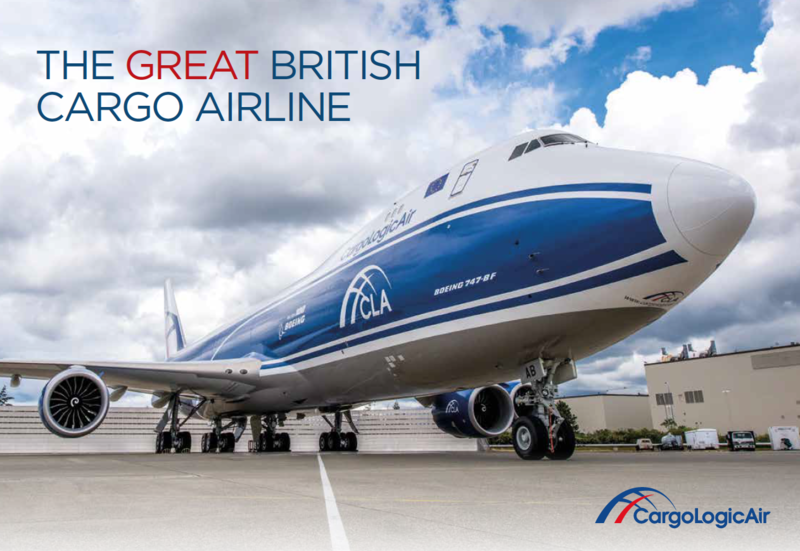 We have supported this great British Cargo Airline with marketing services since their launch. Our work has included web development, corporate literature, service announcement e-shots. The images here are from the company brochure and show how Cargo Logic Air supports innovative and entrepreneurial clients in a range of different market sectors by enabling the supply chain. The company is also going to once again play a major role at the Farnborough International Airshow 2018. The IATA Cargo Village is sponsored by CLA and Volga-Dnepr and provides a focussed showcase for air cargo businesses to market their services. To discuss how we can support you by marketing your air cargo business, please contact our MD Dan Gilbert on 01784 410380 or email. To find out more about the marketing opportunities in the Cargo Village at FIA click here.